AUGUSTA, Maine — Citing concern of a “federal takeover,” Gov. Paul LePage announced Friday that Maine will establish access to state property surrounded by North Woods land that entrepreneur Roxanne Quimby wants to become a national park. The provocative move puts the Republican governor in the middle of the contentious debate around the 87,500 acres east of Baxter State Park and north of Millinocket. In a Friday news release, the Maine Bureau of Parks and Lands said it started to re-establish access to 2,500 public acres surrounded by Quimby’s property. John Bott, a spokesman for the bureau, said crews were plowing and repairing access roads there on Friday. Attempts to contact the bureau crews or find them in the Sherman and Patten areas were unsuccessful on Friday. Maine Department of Transportation crews in Island Falls, Medway, Patten and Sherman said they were not involved with the work, which might not be unusual, given the heavily wooded nature of Quimby’s lands. Some of the dirt roads onto the property pointed out by neighbors also were impassible due to heavy snow and ice. Several area residents and workers at local convenience stores said they were unaware of any crews working on Quimby lands. The move comes a day after members of Maine’s congressional delegation criticized the federal government for a letter that was noncommittal on whether President Barack Obama would make the property a national monument. The North Woods park idea is perhaps Maine’s hottest public debate: It was rejected last year in advisory votes in East Millinocket and Medway, but Quimby’s family, led by her son, Lucas St. Clair, has been lobbying Obama to give it national monument status, which — unlike a national park — doesn’t require congressional approval. 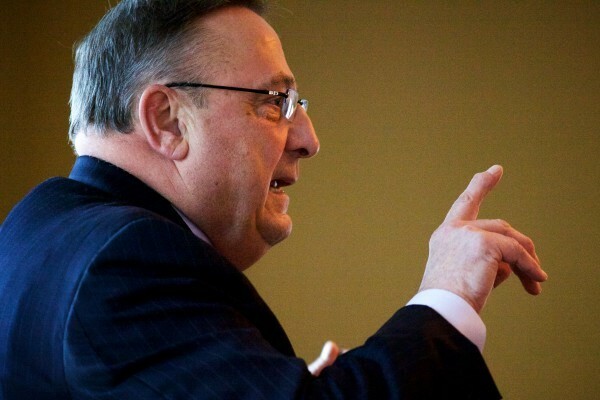 “The time is right to clearly re-establish the public’s legal rights,” LePage said. 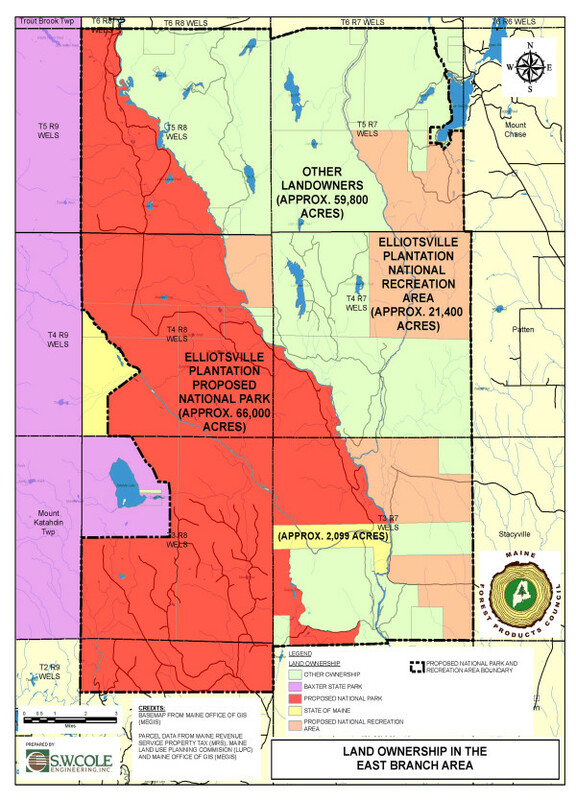 It wasn’t immediately clear which parcel of land the state is looking to access, but David Farmer, a spokesman for Elliotsville Plantation Inc., said he suspected it’s an area just north of Katahdin Lake bordering the state park that was heavily forested as recently as 2008. The bureau said that despite the state’s crossing rights, roads to state land have been blocked and bridges removed. Once the state re-establishes access, the bureau said it intends to harvest timber on the public land. “Senators Collins and King are aware of the state land in question, but are not aware of the road usage patterns in the area,” Clark and Ogden said in a joint statement. Farmer said state officials “absolutely have access and there’s no argument there,” but it isn’t the Quimby family’s job to preserve access roads and the nonprofit removed one bridge it owned that helps access the state property because it was unsafe. “This is more about using the power of the government to stop something that the governor doesn’t like,” Farmer said.